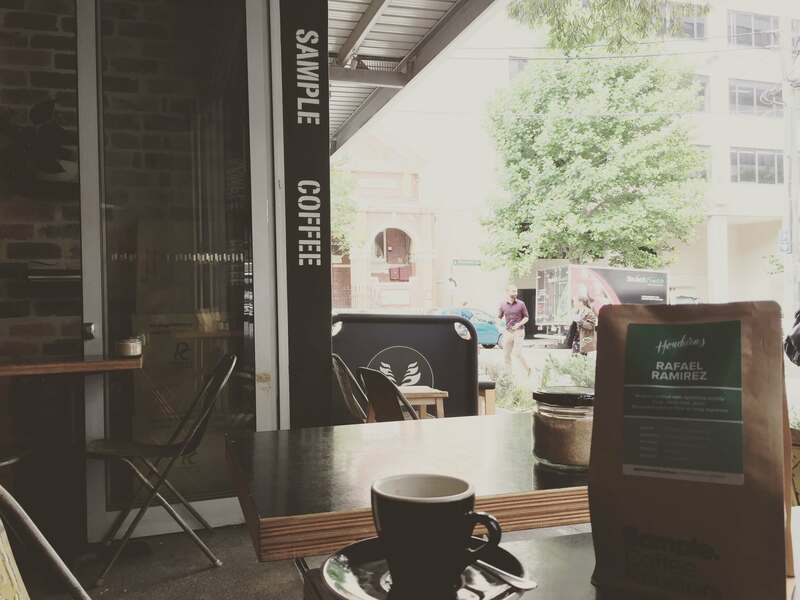 Sample Coffee is a cute little café located in Surry Hills, Sydneys hipster coffee district. Specialising in specialty coffee and take away customers, you can guarantee that the place will be busy. They have been serving customers for at least 7 years and are very passionate about coffee, as most Australian coffee lovers are. It is a small place, with professional and friendly staff so feel free to ask them all your coffee questions. Just make sure there is not a massive queue of people waiting for their espresso or flatwhite. The roast their own coffee and have some fabulous ones to choose from. I enjoyed their espresso and even picked up a bag of beans to bring back home to Switzerland. It is more of a drop in coffee place. If you are planning a coffee stop in Surry Hills for brunch, make sure you check out the other places on the map. Being Australian, I am sure the cafe staff will be friendly enough to recommend a place for you to try for brunch as well. Don’t forget to check their website for all the up to date information. For regular coffee drinks and specialty coffee fans.